Electricity costs are rising: why commercial solar is the answer! Home/Blog/Electricity costs are rising: why commercial solar is the answer! While the holidays might be the biggest thing on you mind right now, it isn’t the only thing that’s coming up – so is the end of Q4. And with the end of Q4 comes the quarterly power bill. It’s not just your air conditioning and Christmas decorations that’s driving up your energy bill. Energy prices are on an upwards trend across the board. Whether you’re an energy-hungry business or an ordinary homeowner, this is a concerning pattern. Unfortunately, by all indications it also looks like high energy bills are going to become the new norm. This week, Pacific Solar takes a closer look at three major contributors behind those spiking energy costs… and how commercial solar can help you save money and enjoy a guaranteed ROI. Anybody who’s ever studied economics (or even placed a bid on Ebay or traded footy cards!) knows that price is heavily influenced by supply and demand. Rare things are valuable – naturally, they’ll demand a higher price as a result and vice versa. That goes for all goods and services, including electricity. Up until recently, the national grid had an oversupply of power. We had too many power stations pumping out an excess of electricity – thanks to this, we were able to enjoy lower power bills. The closure of several big coal-fired power plants (Hazelwood in Victoria and Northern in South Australia) means less electricity is being pumped into the national grid. But at the same time, the level of demand is as high as ever. The result? Higher energy prices. While renewables like solar system installation offer viable alternatives, the fact remains that the majority of Australia’s power is supplied by fossil fuel-burning power plants. Power plants are businesses too, and they need to break even – naturally, any increases to the price of these fossil fuels will bump up the price of electricity in Australia. And that’s exactly what’s happened! Recently, we’ve seen coal and gas prices skyrocket. These bump up the operating costs that come with running a power plant, which have then been passed on to consumers – everyday Aussies like you and I. To give you some perspective, here’s a graph mapping global coal prices. While we’re currently seeing a drop, coal still costs twice as much as it did in the 2015-2016 period. Under reason #1, we mentioned that supply influences the prices you’ll be paying. What we didn’t mention is that supply isn’t only influenced by external factors! Many of the larger electricity providers can game the system by using their size to create scarcity. They might deliberately throttle their energy output, reducing supply and artificially creating scarcity (and enjoying the associated price spikes). According to the Grattan Institute, energy companies have enjoyed up to $800 million in additional revenue thanks to these efforts. And thanks to the closure of major coal-fired plants, even more power stations scheduled for closure and slow adoption of alternatives like renewables, you can expect this trend to continue. Every little bit helps when it comes to saving electricity. However, some things have a bigger impact than others. Case in point: commercial solar. If you ask us, solar panels are the secret to lower energy bills. Solar power gives you the power (pun intended) to generate your own electricity, reducing your reliance on the power grid (and by extension bringing down your power bills). Unlike the solar panels of yesterday, modern panels are significantly more efficient – and it’s only climbing higher. And with high prices likely to persist for years to come, the timing couldn’t be better! This isn’t the only way commercial solar installation can help you get through this time of high energy prices. On top of bringing down your bills, businesses can enjoy generous subsidies, rebates, and tariffs. 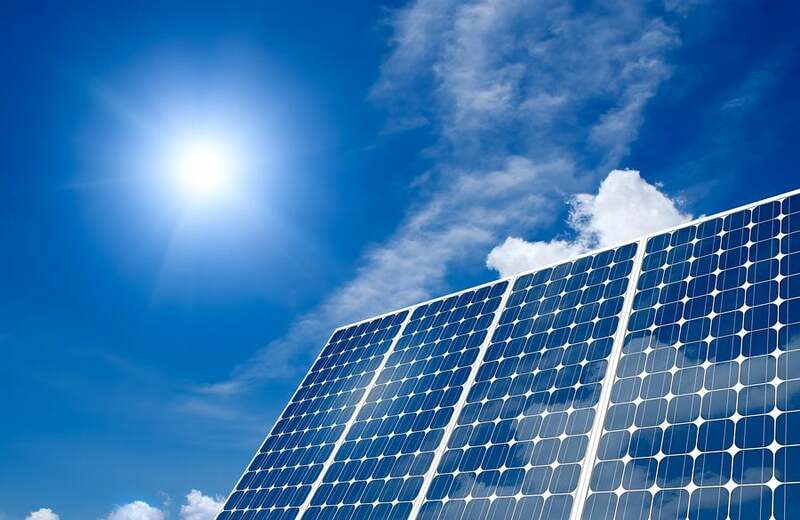 Whether it’s part of the government’s incentive scheme or feed-in tariffs from your electricity operator, the extra return solar panel installation generates makes it a very attractive option. Excited by the prospect of saving money? Click here to access our solar calculators and find out how much you could save. Worried by the prospect of permanently rising energy bills? Stop worrying about money and start saving it with Pacific Solar. If you’re thinking of commercial solar panel installation, Pacific Solar is the team for you. We offer nationwide commercial solar solutions. 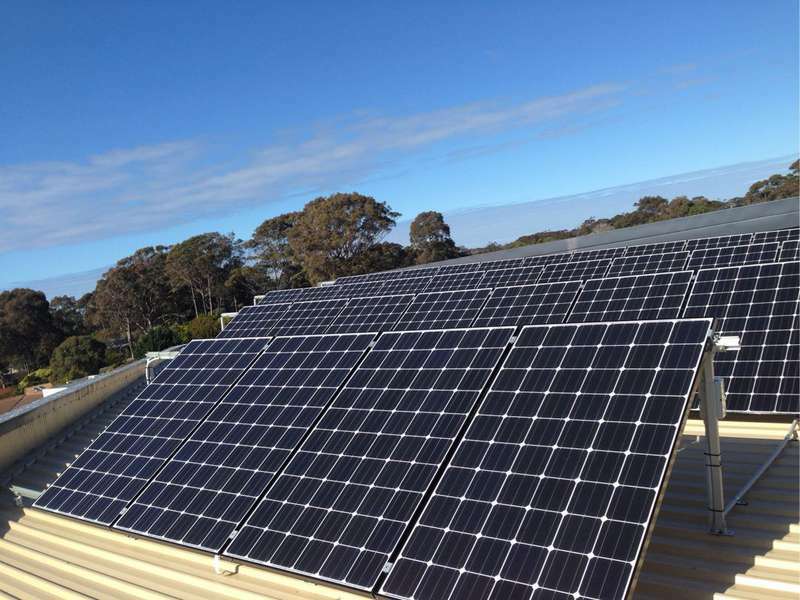 Find out whether commercial solar is the right choice for you – give our team a call today on (03) 9532 3836 or fill in this form and we will get in touch!